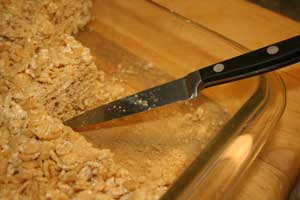 Rice Krispy Treats are one of our favorite snacks and so easy to make. I did three separate calculations based on three different prices for the Rice Krispies. I have been able to buy them recently for incredibly cheap prices, but I also wanted to calculate based on a sale price without using coupons.